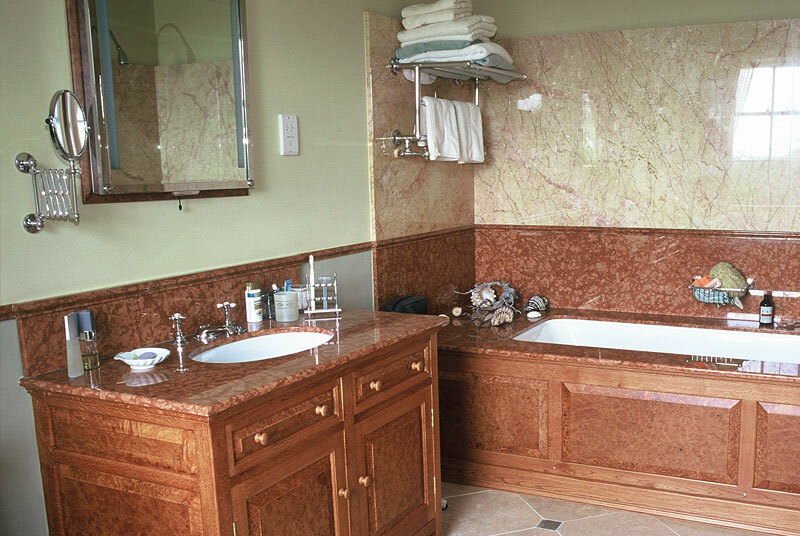 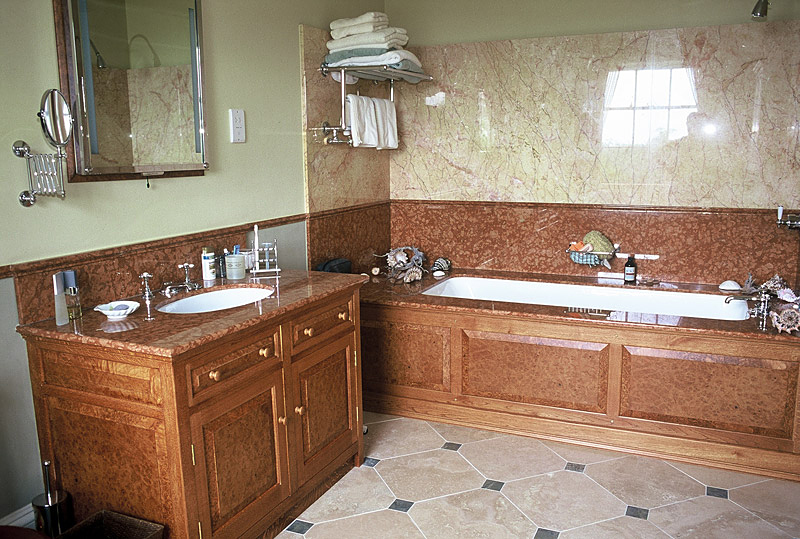 This luxurious burr oak bathroom owes much of its success to the remarkable match between the Rosso Asiago marble and the Burr Oak used in the cabinet panels. 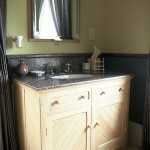 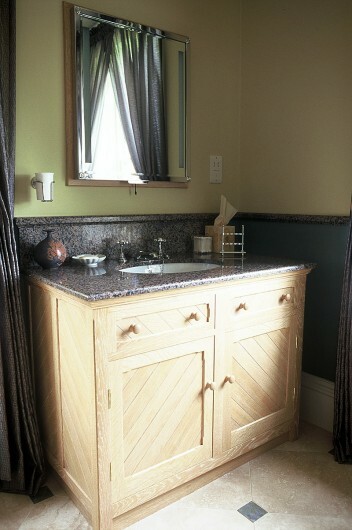 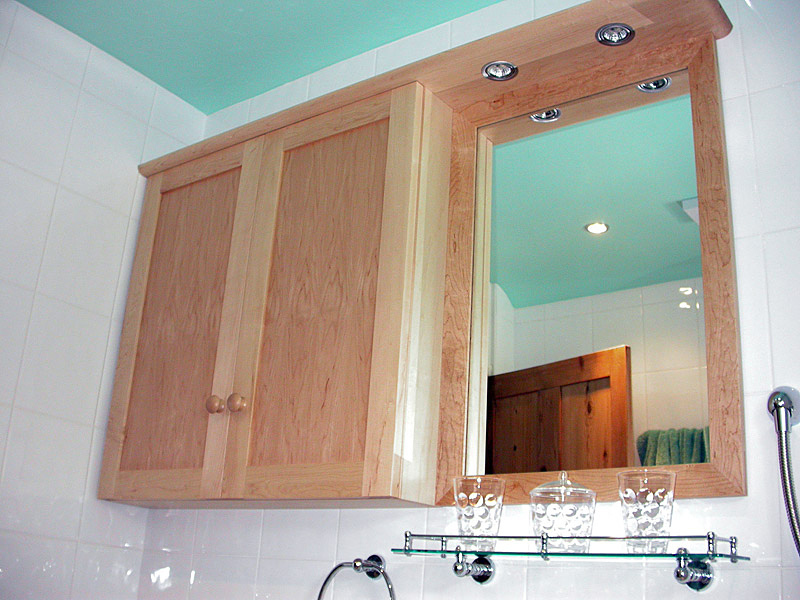 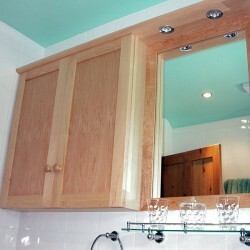 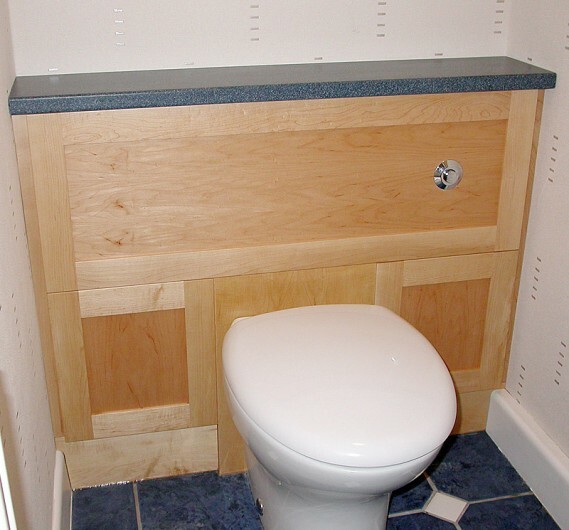 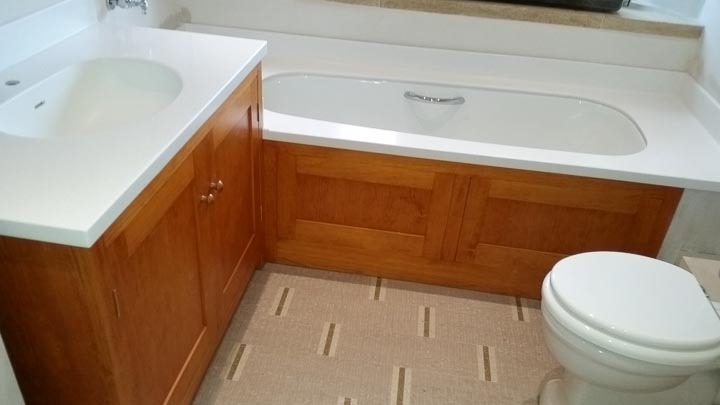 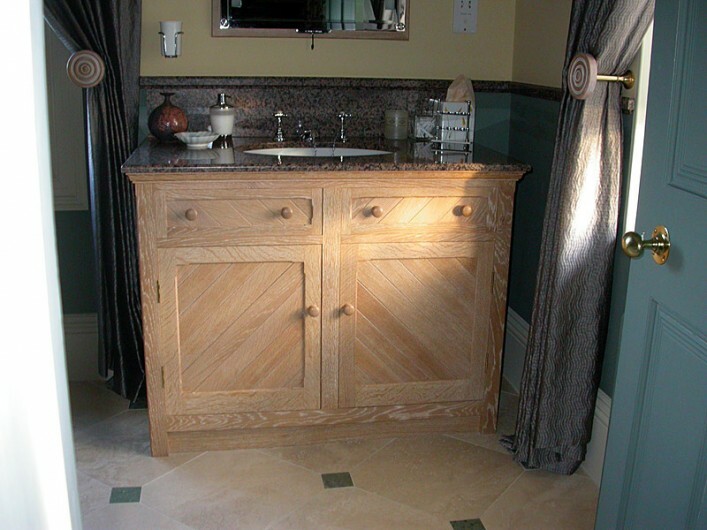 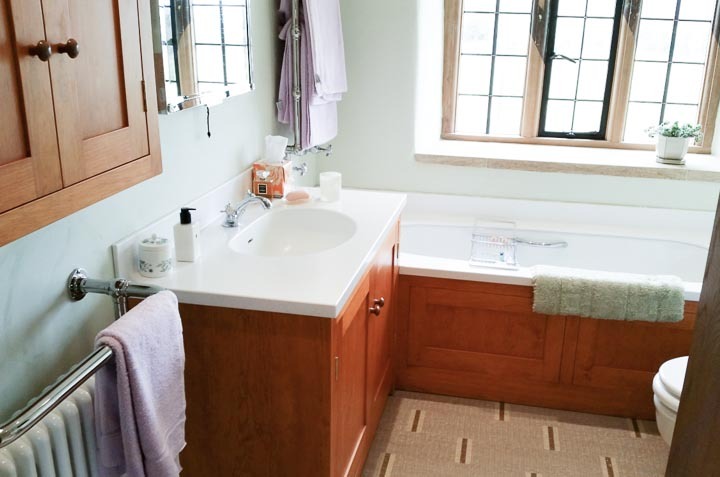 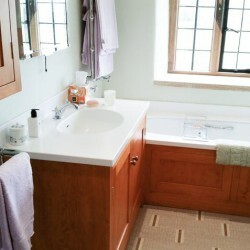 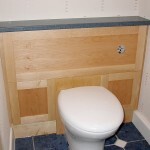 A small bathroom with Shaker style cabinets in Quebec Yellow Pine with Antarctica Corian surfaces. 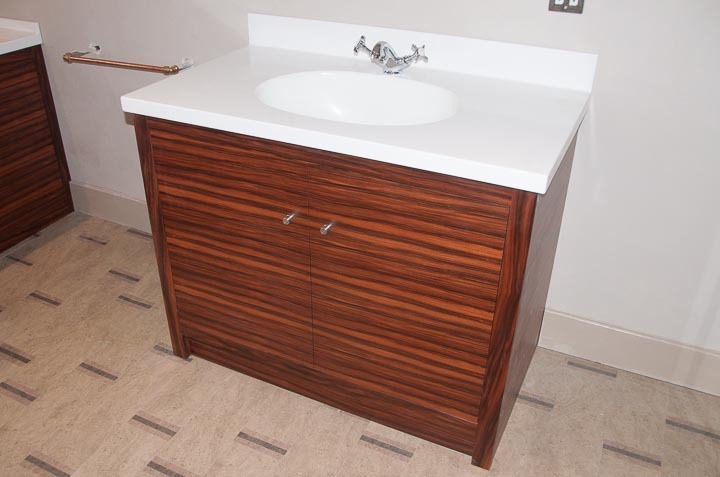 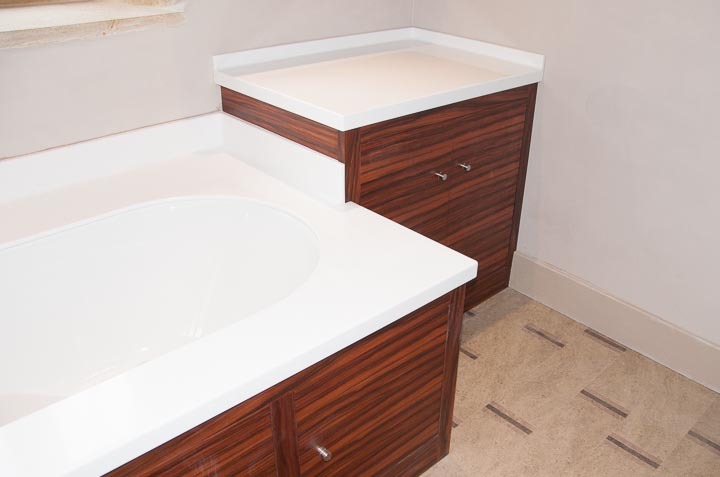 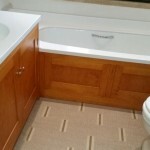 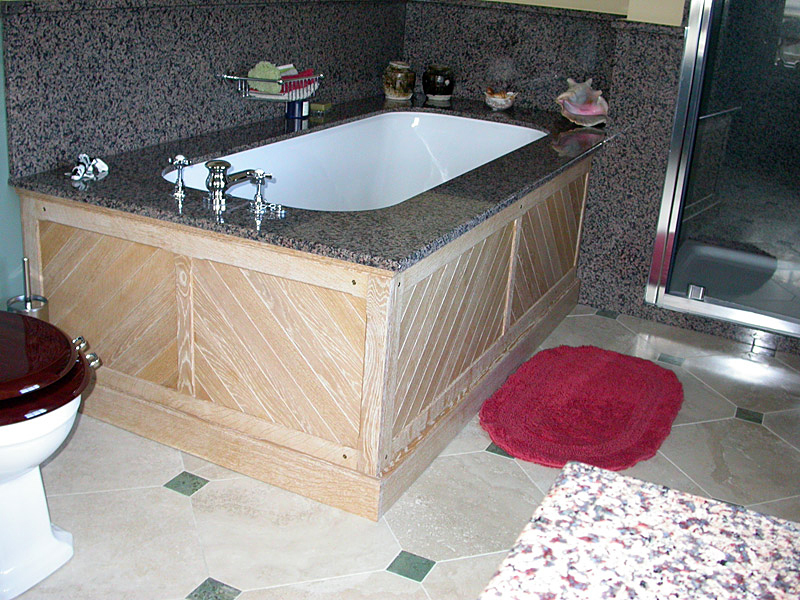 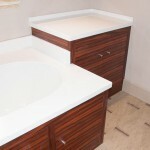 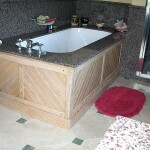 We made this rosewood bathroom furniture in Santos Rosewood and Antarctica Corian. 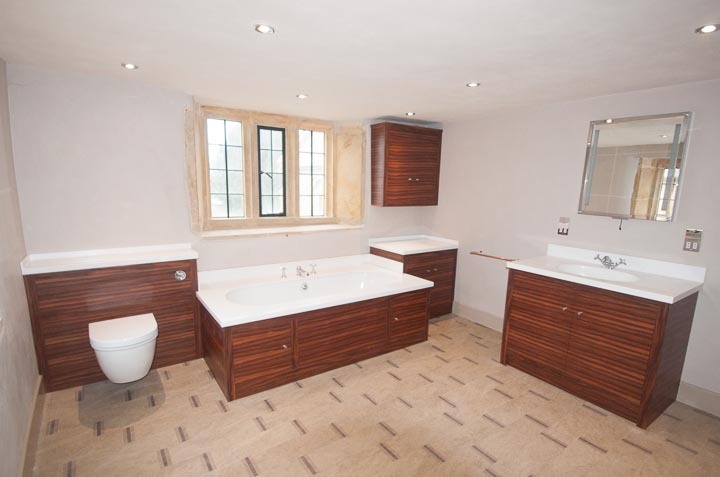 The timber really looks spectacular and the modern style contrasts well with this very old listed building. 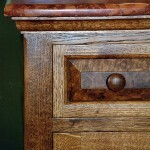 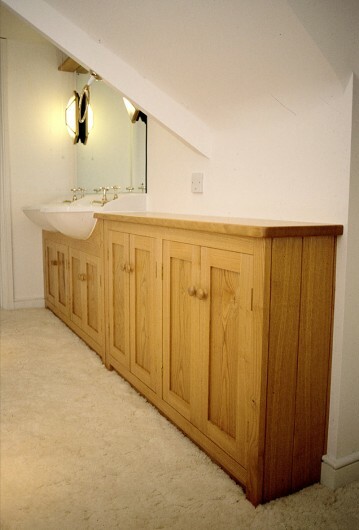 Not many timbers yield this rich natural colour with contrasting shades. 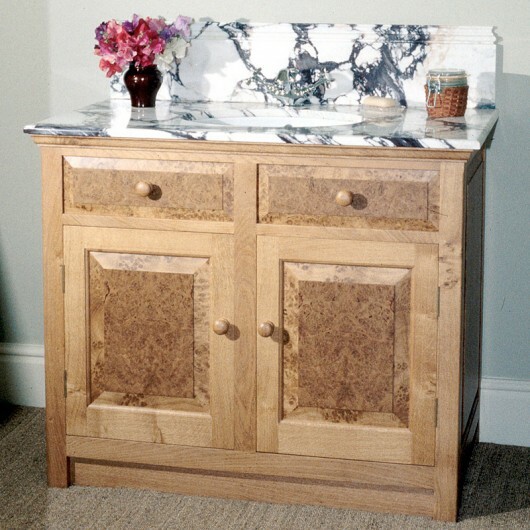 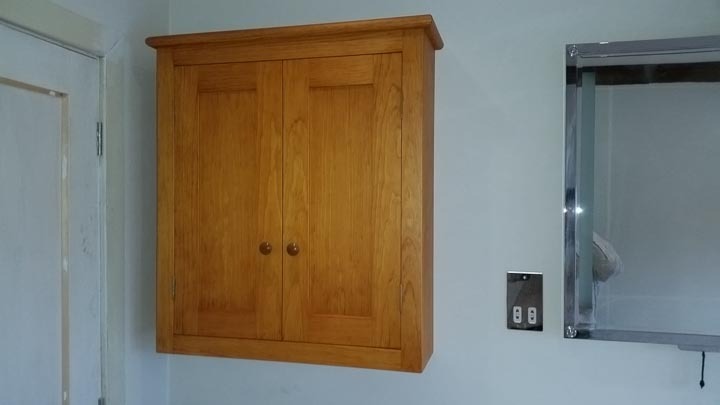 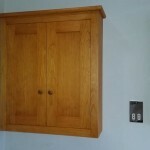 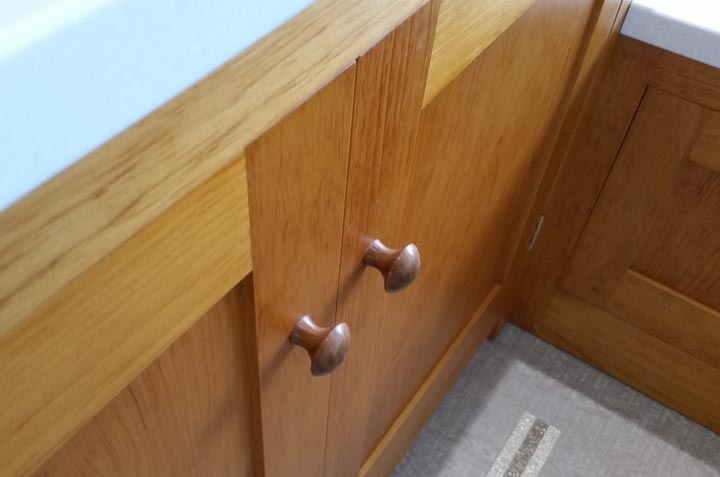 Cloakroom vanity units in Oak with Burr Oak panels and iron handles. 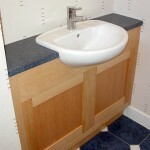 The worktop is Corian. 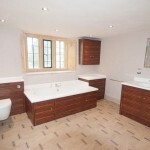 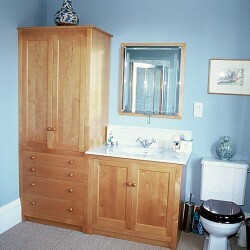 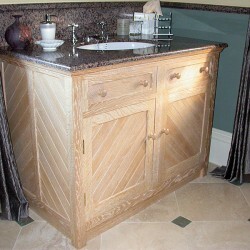 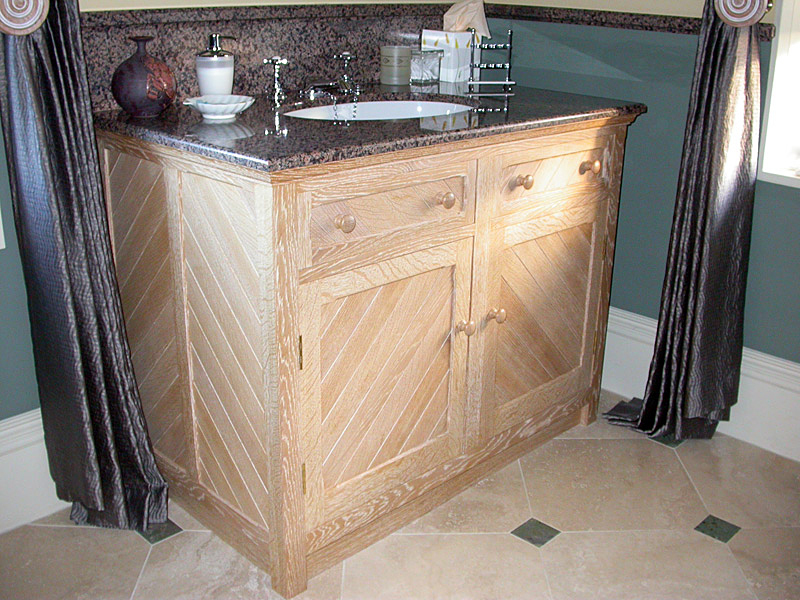 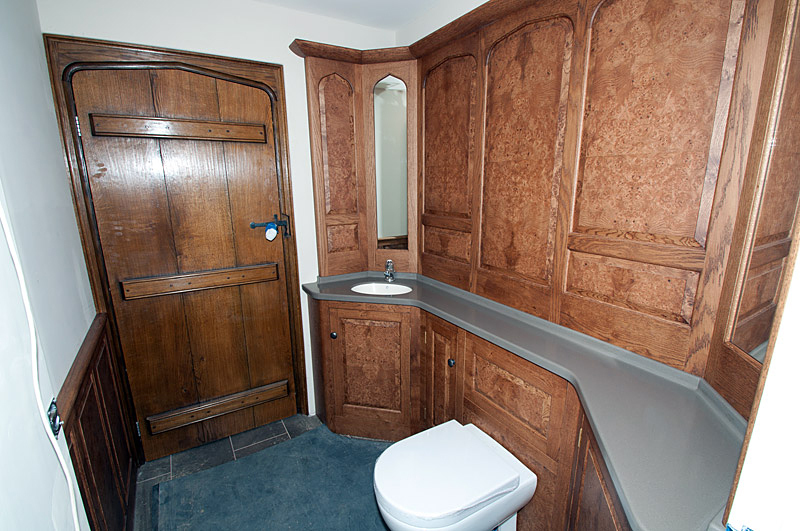 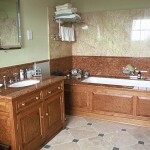 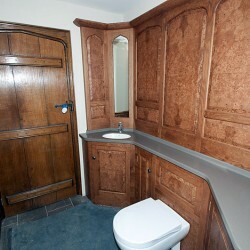 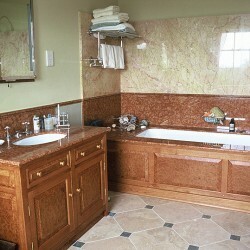 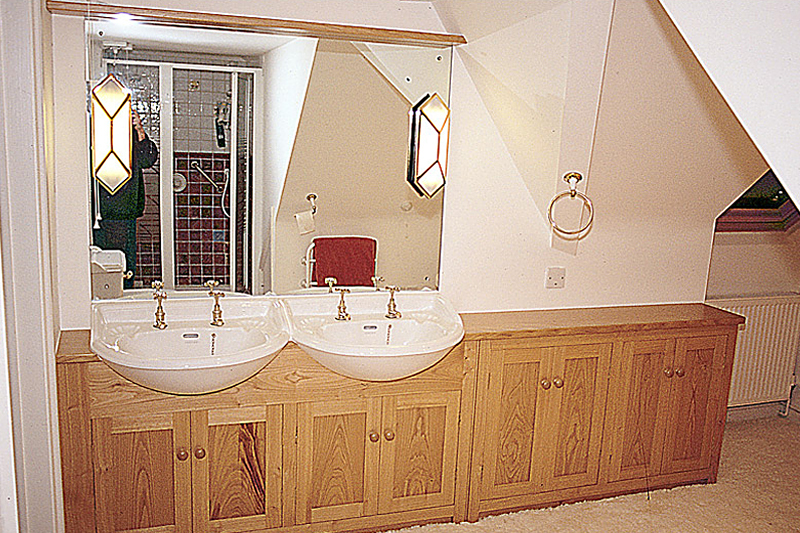 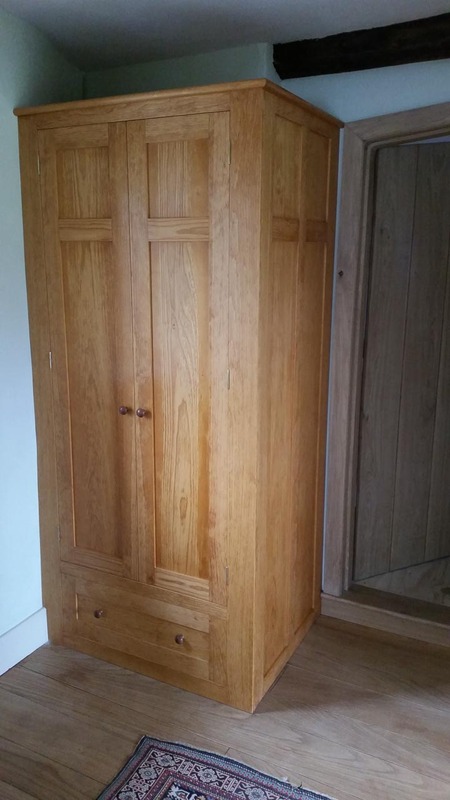 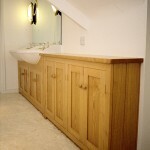 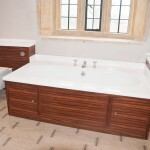 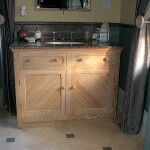 A double vanity unit made in Sweet Chestnut forming part of a large bathroom with a central jacuzzi bath. 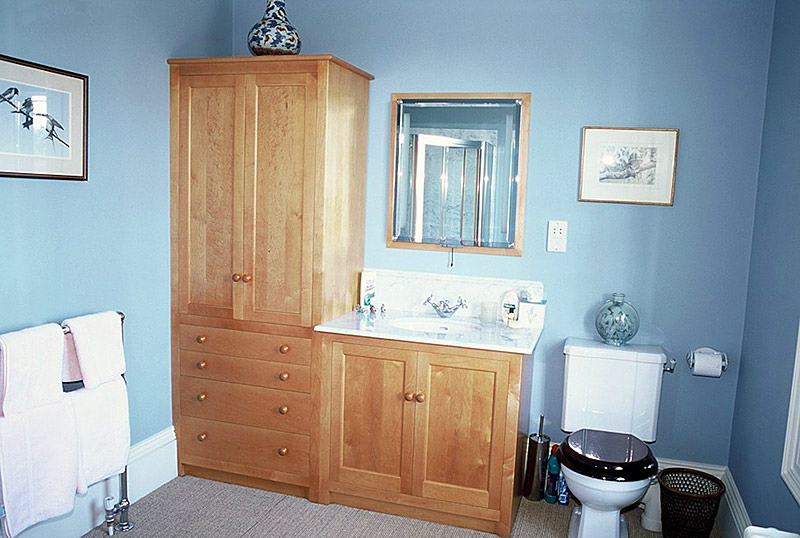 An ensuite bathroom in a simple style designed to compliment the Shaker-style furniture in the adjacent bedroom. 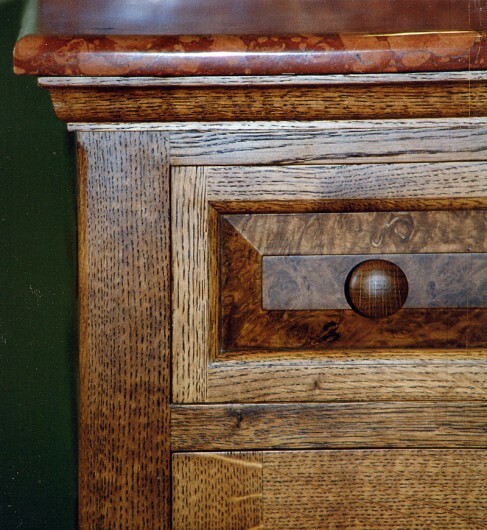 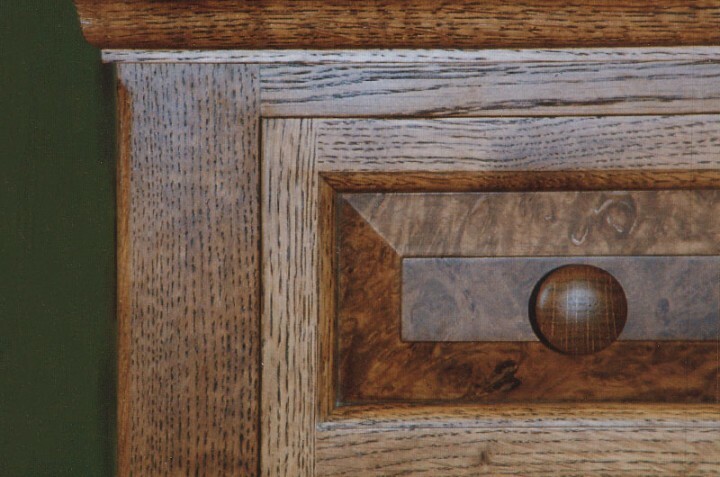 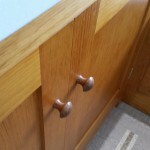 The timber is Canadian Maple with a slightly coloured lacquered finish. 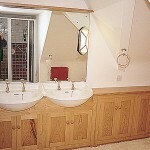 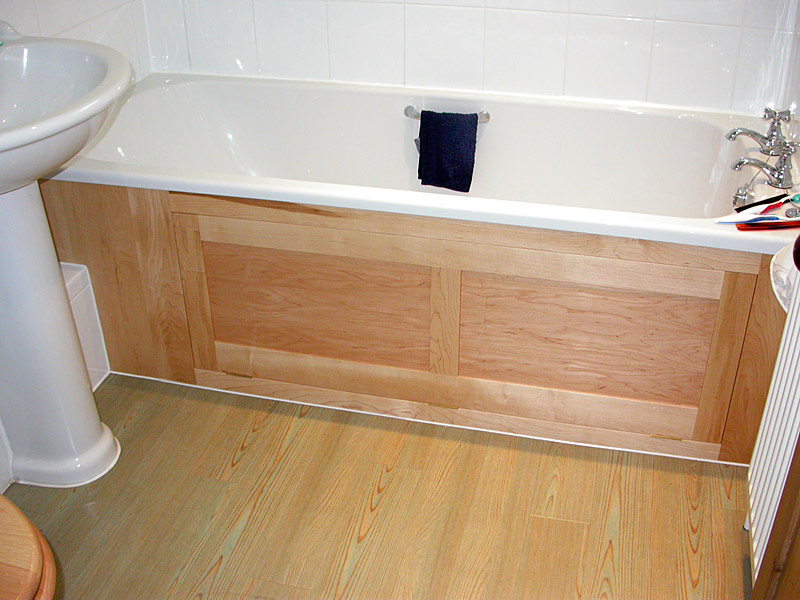 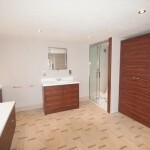 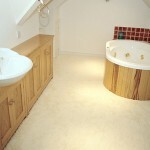 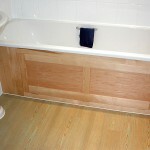 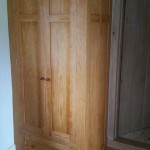 A few handmade bathrooms in Maple, each one designed specifically to the requirements of a particular client. 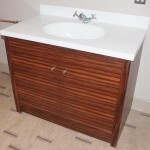 There is an interesting combination of materials in this bathroom, which uses limed English Oak with chevron tongue & groove panels and Granite worktops. 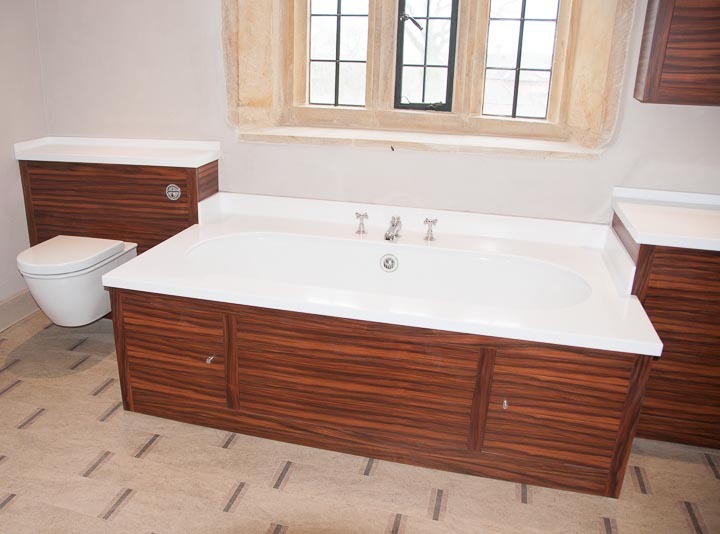 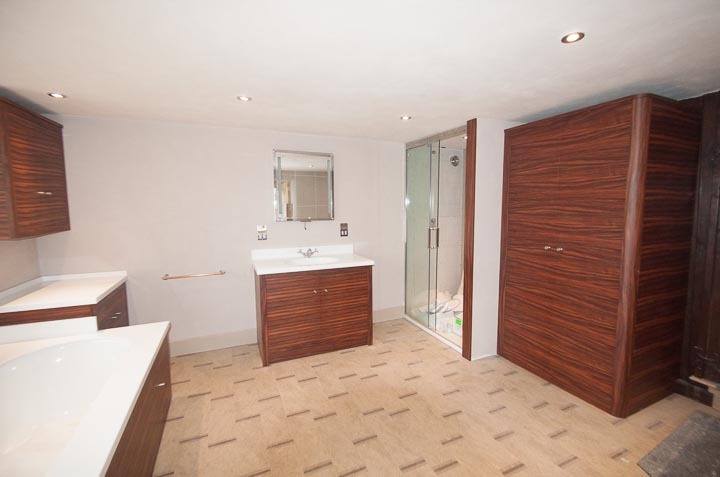 We design and install bespoke fitted bathrooms in a variety of different styles and materials, from fitted bathroom furniture and hand-made bath panels to vanity units and individual mirrors. 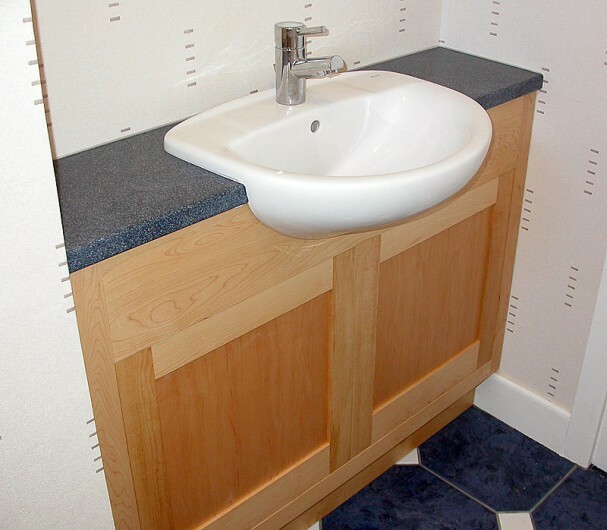 You can take advantage of our full design service, or we can liaise with your own designer. 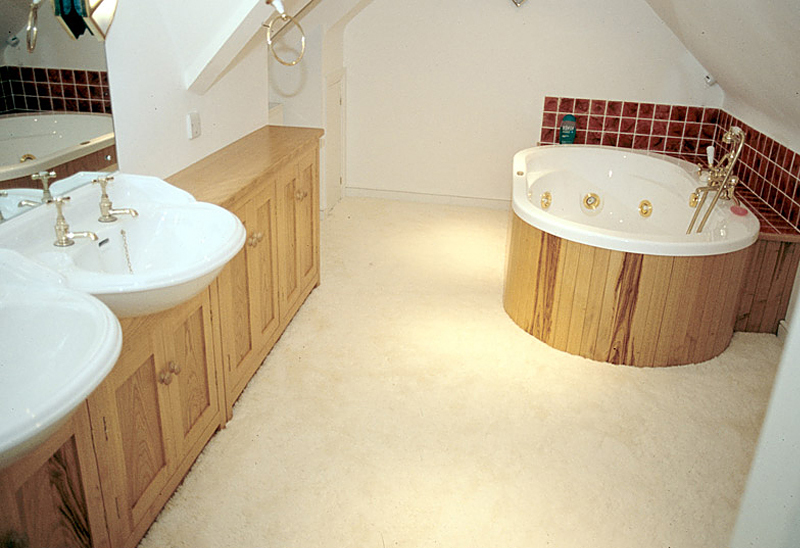 We are flexible, either taking on the full installation, or liaising with your own builders.